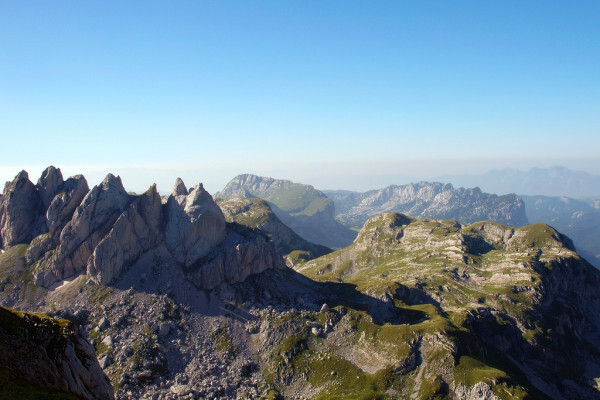 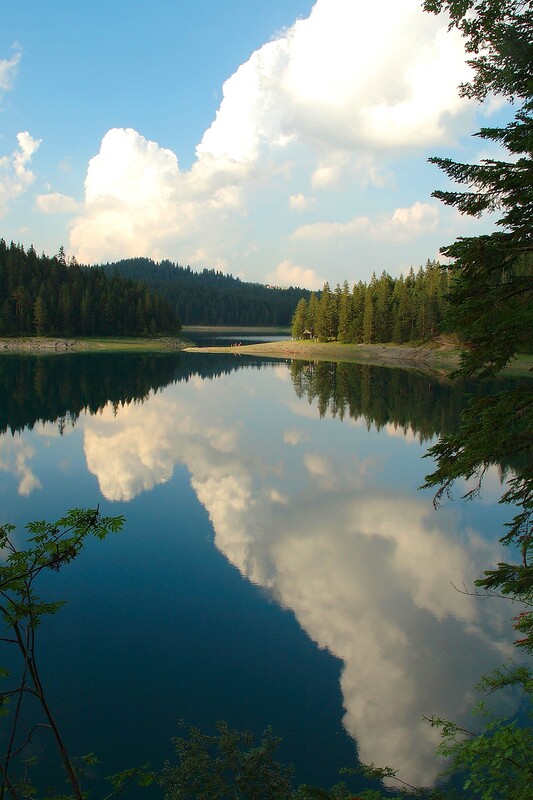 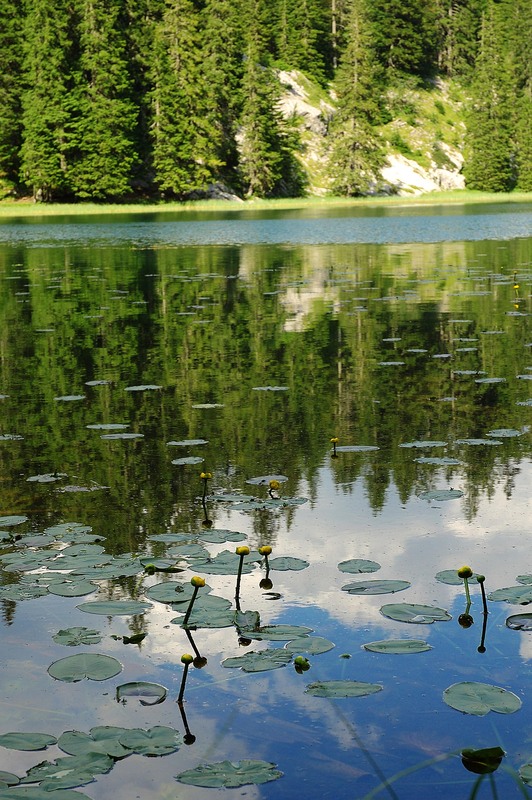 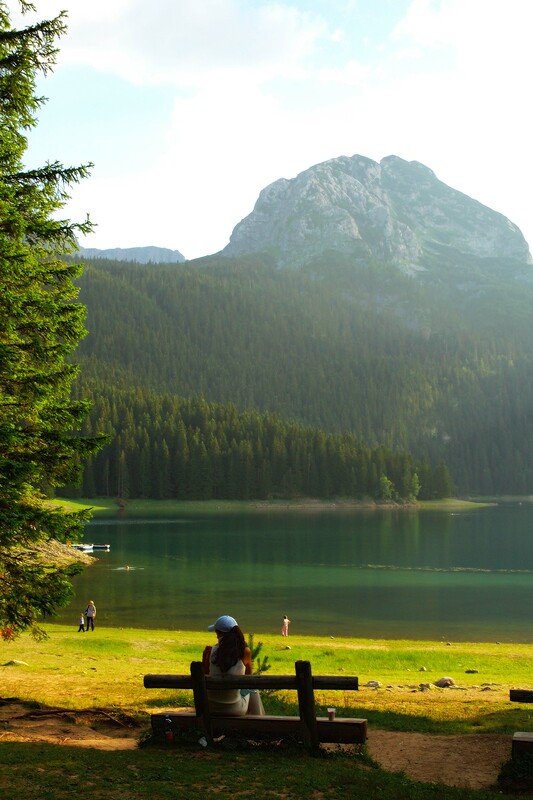 There are 17 beautiful glacial lakes called “mountain eyes” in the area of Durmitor National Park. 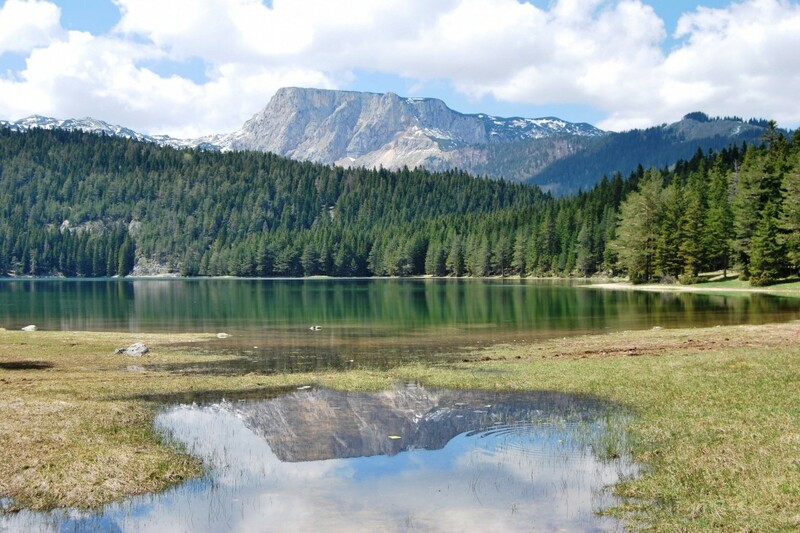 The most famous is the Black Lake. 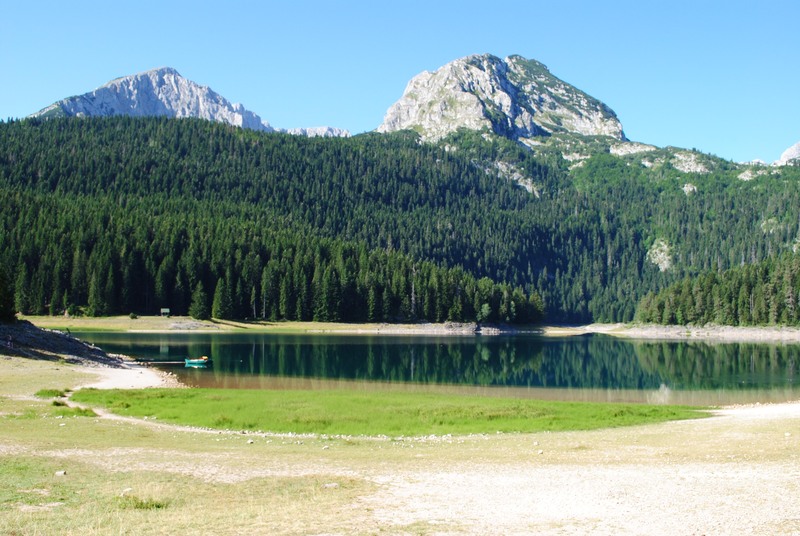 Others are Veliko Škrčko Lake, Malo Škrčko Lake, Zeleni Vir, Jablan Lake, Valovito Lake, Vir u Lokvicama, Srablje Lake, Modro Lake, Suva Lokva Lake, Zminje Lake, Barno Lake, Pošćensko Lake, Zabojsko Lake, Vražje Lake, Riblje Lake, Zminčko Lake and Sušičko Lake. 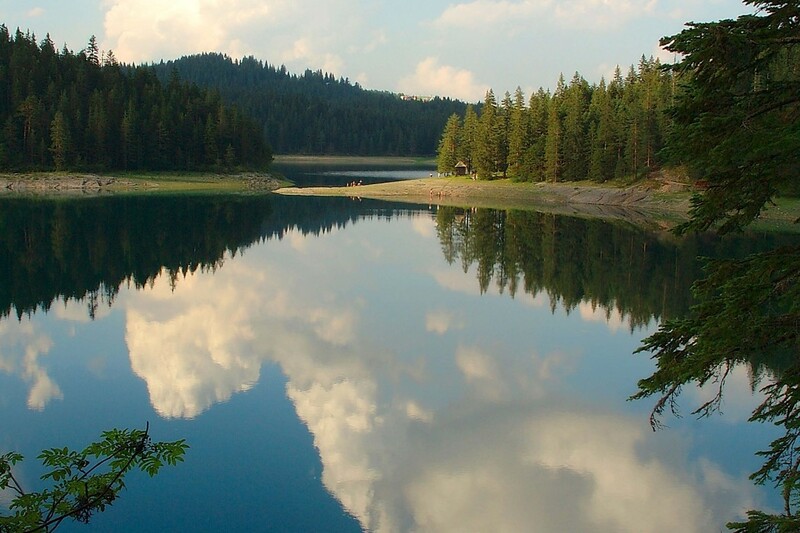 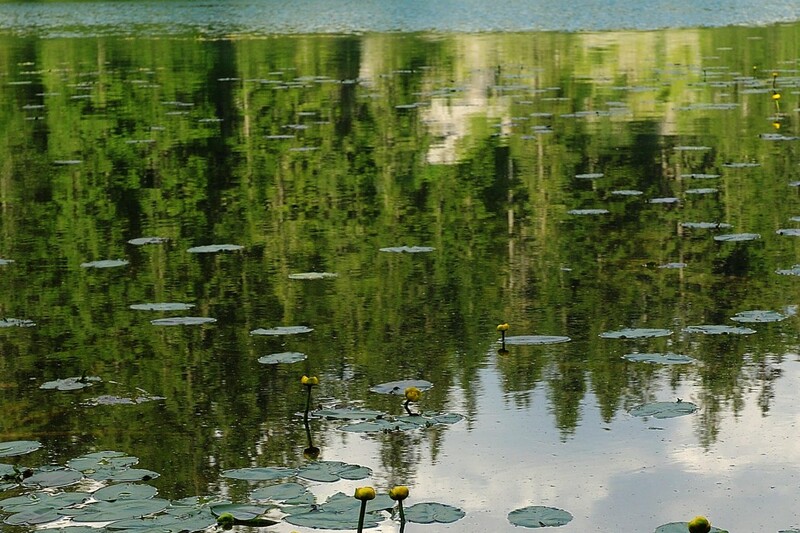 The Black Lake (Crno Jezero) is divided into two lakes named Veliko Jezero (great lake) and Malo Jezero (small lake), which are connected by a small strait of water which dries up in summer. 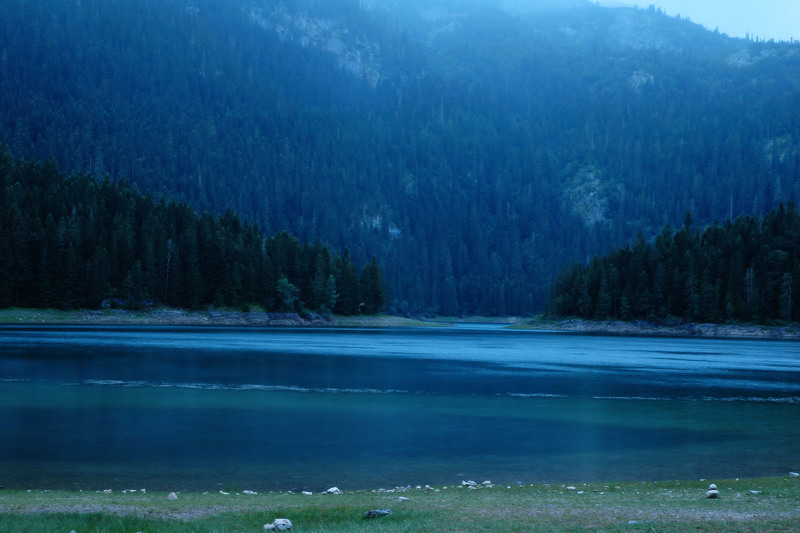 The lake itself is about 3.5km and takes between an hour and an hour and a half to walk around. 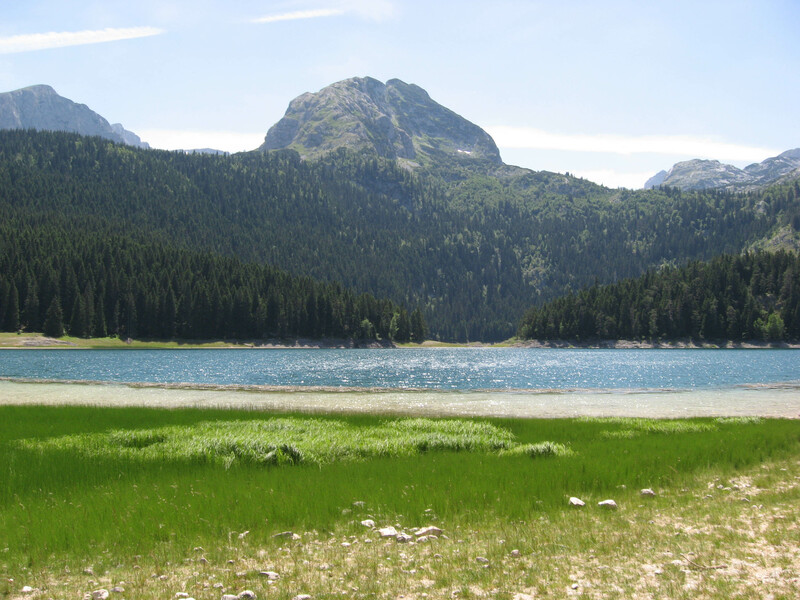 The lake is filled by numerous mountain streams, the best known being Mlin stream, others have no name, as they appear periodically, when snow from Durmitor Mountain is melting. 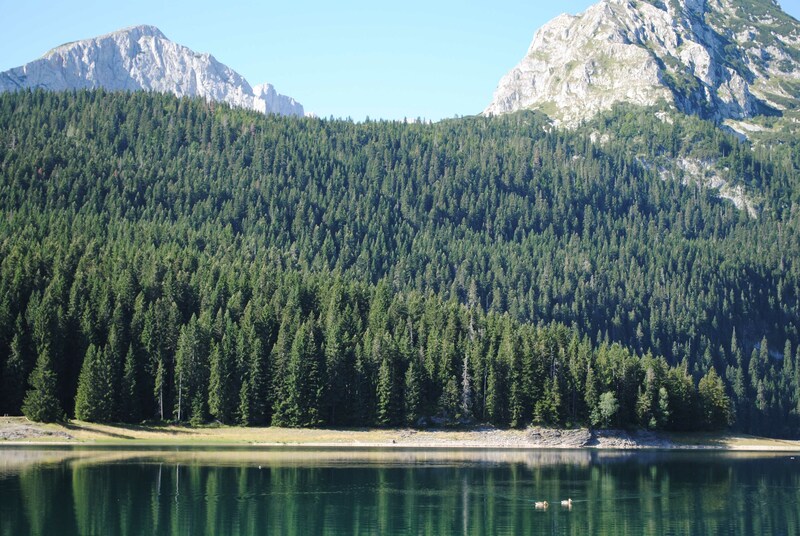 Black Lake is simply stunning, this is ‘wild’ Montenegro at its best! 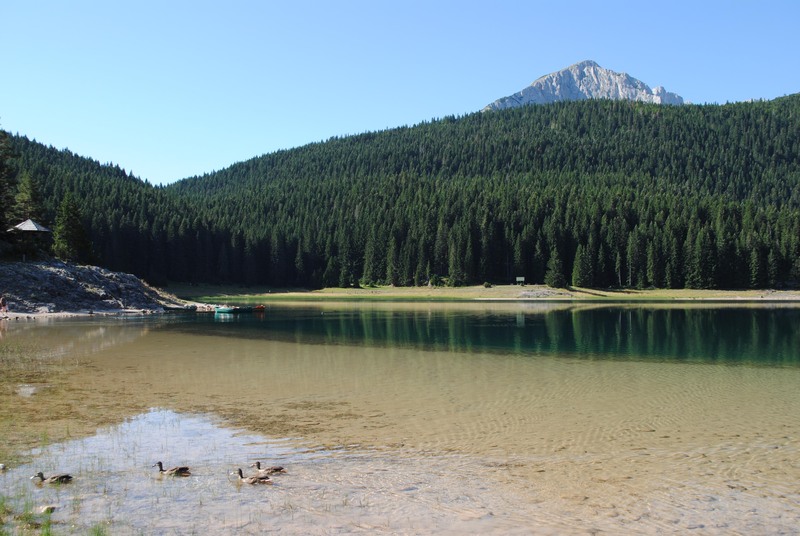 The blue / green lake itself is so clear and clean it acts like a mirror against the backdrop of mountains – a spectacular setting. 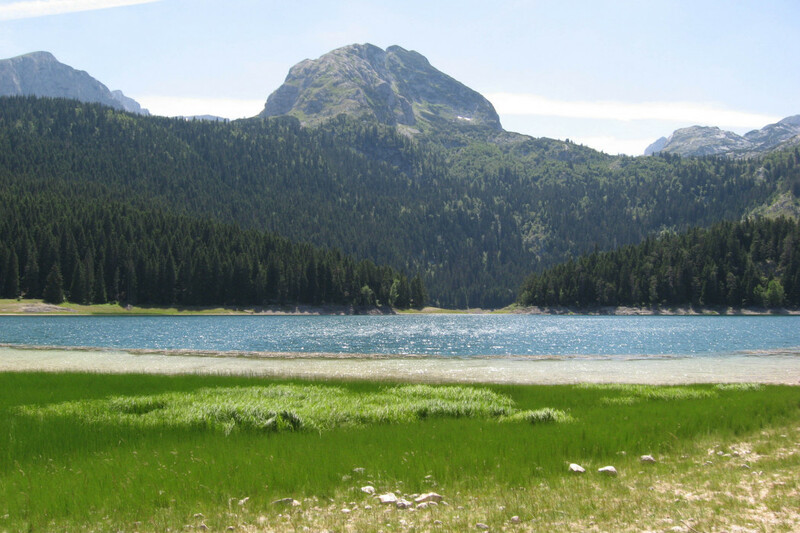 There is also lots of hiking to be done here, with good signposting for the trails, also mountain biking, swimming and boating are on offer. 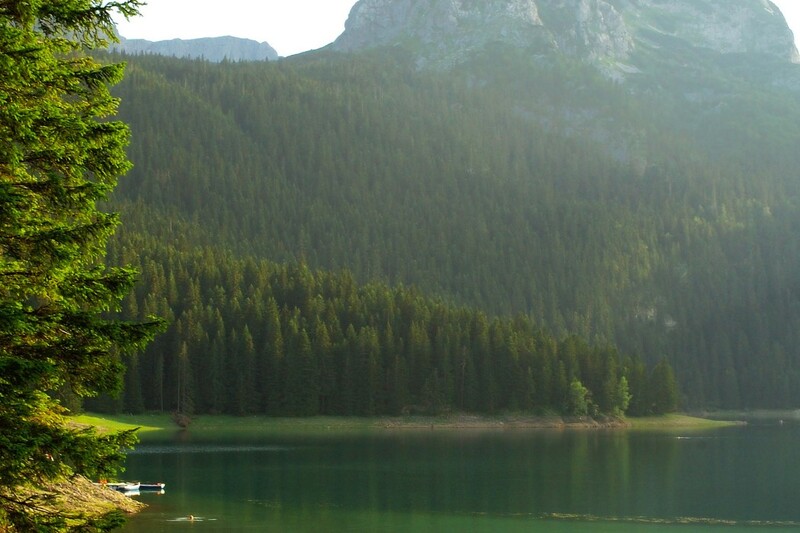 The best time to visit the lake is early in the morning, when you have the whole lake to yourself, the lighting is perfect and the air is fresh. 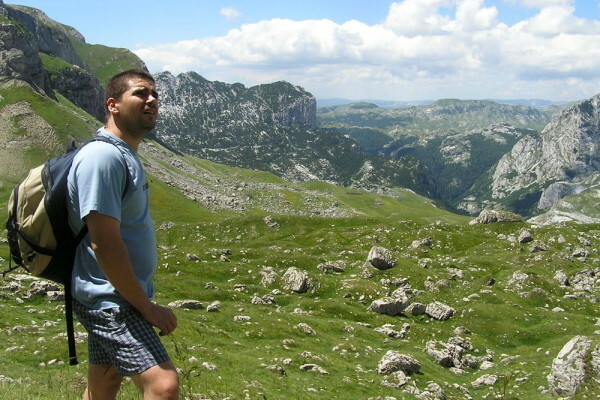 You do have to pay to enter the National Park, at the time of writing this it was 2 Euros per person. 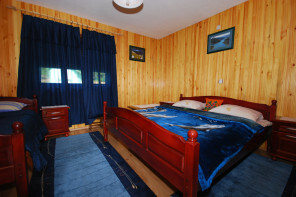 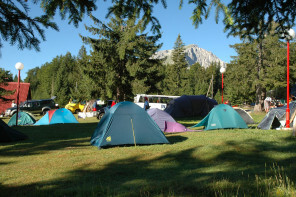 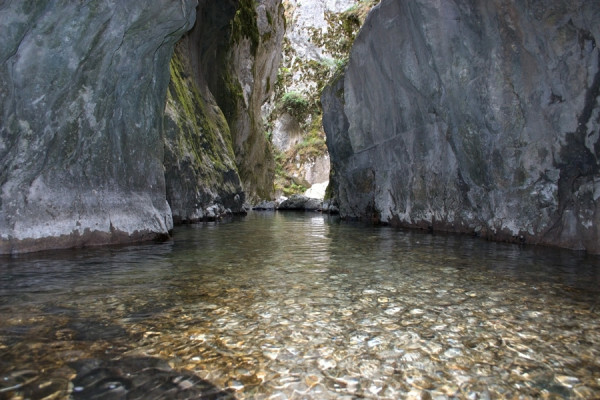 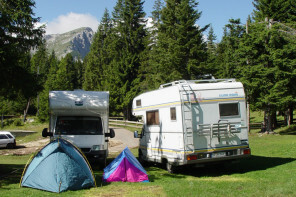 However, you can easily walk to the lakes directly from our camp through the forest and bypassing the entrance gate.